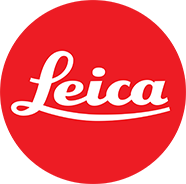 Leica is a brand associated with premium cameras and quality sport optics products. Noted photographers, wartime photojournalists, and those into street photography are among those who are known only to use the Leica product line. Why pawn your preloved Leica with PawnHero? With the collectible items Leica offers, we at PawnHero, the first online pawn shop in the Philippines consider these as highly valuable items. Pawn or sell your pre-loved Leica products at PawnHero in just three easy steps. We guarantee a hassle-free transaction, with a high appraisal, low-interest rate with no service charge or penalty costs for late payment or loan renewal. Experience a comfortable and convenient way of overcoming short-term cash needs with PawnHero, the leading and only online pawnshop in the country. Pawn or sell your Leica items now! Submit photos and details of your item to get a free appraisal, then schedule a free pickup. Receive your cash the same day we appraise your item through your bank account or other payout options. Repay your loan and we return your item, fully insured and without any shipping cost!